Full disclosure: I stole this idea from the Couponing to Disney blog. The Between Wife found a link to the original Couponing to Disney post on Pinterest. And the minute I heard about the idea, I knew it was a Dreaming Disney concept. Betweenlanders you need you to know that you can write Disney characters at the Walt Disney World Resort and get a response. At one time, the response you received included an autographed photo of the character you sent the letter to. But Couponing to Disney also noted this had changed. And I needed to verify for myself and you the actual experience of writing to your favorite character at Walt Disney World. Earlier this summer I had a great opportunity to try this experiment out with four Betweenland children forced to spend time with me. I worked with each kiddo to select a character, print off a picture which they colored, and write a letter to the character. This process itself was pretty easy except some of the youth changed their minds several times to who they wanted to write. · Between Kid 1 who is the youngest always chose Lightening McQueen, which was a relief since it led to the least amount of work for me. · Between Kid 2 wavered a lot. The kiddo chose Tinker Bell, then shifted to Merida, and then went back to Tinker Bell, and then finally got completely bored! · Between Tween 1 started with Rapunzel, changed to Merida and then chose the Mad Hatter which is a character which fits this kiddo better than the other choices. · Between Tween 2 is the oldest and shifted only once starting with Tiana and then choosing Mulan, which like the other tween was a better fit for this youth. I packaged up the photos and letters and asked what will you get? Between these four Between Kids there are two addresses in two different states. So I was also interested in the timing of the responses they would receive. Between Kid 1 received a postcard of Mickey and Friends with a message from the Big Cheese. 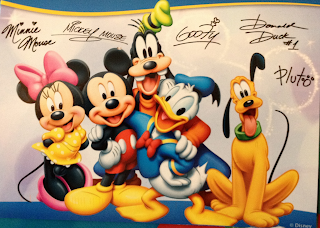 Between Kid 1 was thrilled and is currently keeping the postcard alongside some other special items, including family pictures from past Disney vacations (man I love this kid). Between Tween 1 received a postcard from the Disney Princesses with a special message from Cinderella. The Tween was not thrilled. It was okay to receive a message from Cinderella, but what was really wanted was a card or message from the Mad Hatter. The Tween has moved somewhat away from princesses and the Hatter is a bigger impact character in the Tween’s life. These two kids received a response in around two weeks. Between Kid 2 and Between Tween 2 are still awaiting a response months later. I actually felt like I had to have made an error in addressing the letters since they both live at the same home and it seemed odd that one address would get responses and another would not. I have since confirmed the address, but I am still convinced there was a user error on my part. So here are my lessons learned from this experiment. 1) Spending time with kids you like, even if indecisive, is very fun. Don’t forget it! 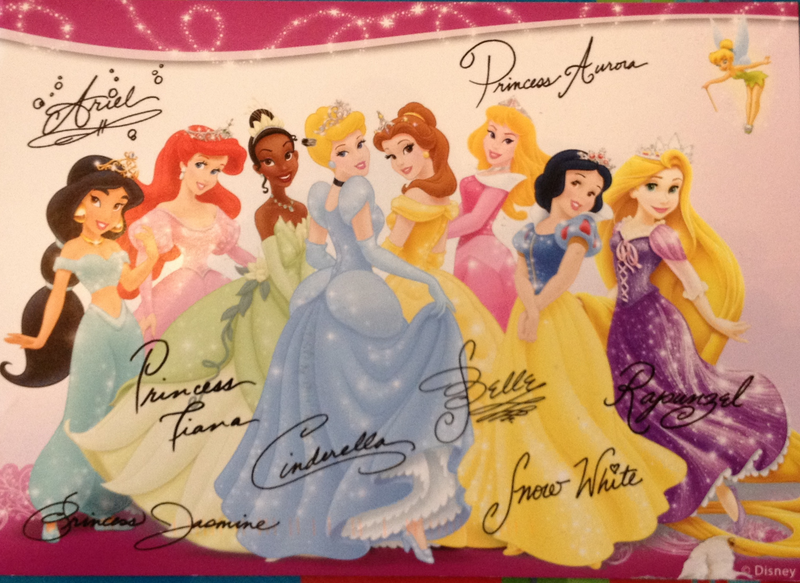 2) If you are a girl writing a character at the Walt Disney World Resort you are probably getting a princess postcard. And if you are a boy you are probably getting a response from Mickey and his friends. I am assuming that there is some variation and maybe if a boy wrote to Cinderella he might get the princess postcard. 3) Kids love getting mail. The book is closed on the Walt Disney World writing experiment. The Between Kids have not asked to write again. But I wonder about what happens if they write that west coast park? The Hand Behind the Mouse: An Intimate Biography of the Man Walt Disney Called “The Greatest Animator in the World” numerous animated short films are mentioned that many are not familiar with. I found that it was helpful and enriched my reading experience to reference these short films, with many of them available for viewing online. The following are shorts films that Ub Iwerks contributed to during his time as an animator at Disney. Trolley Trouble released in 1927 was the first Oswald the Lucky Rabbit Cartoon released and the second one produced. Critics applauded this short, though Walt Disney and producer Charles Mintz were unhappy with the first offering’s jerkiness. Being perfectionists Iwerks and Disney changes processes to improve future offerings. Steamboat Willie was the first released Mickey Mouse cartoon in 1928, though the third produced. It is also the first cartoon with synchronized sound. Though we generally think of Mickey Mouse as a nice guy, the animals in this short would likely not agree.